Example of an estate that would employ domestic staff workers. Currently I am searching for my next high end house to work at. I live in Glendale, a part of Los Angeles. I was working at a multi-million dollar house in Brentwood, about 20 miles from where I live, in a ritzy part of LA. To drive 20 miles home at night with the LA traffic it would take me sometimes 2 or 3 hours. In that respect, I knew I wanted to rearrange my life and search for a job closer to home. There was no problem with family I worked for, they were great and the house was massive, but something had to change. So I plunged myself back into the domestic staff placement world. 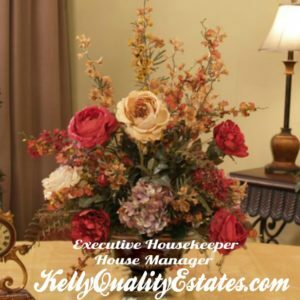 I am a House Manager/Housekeeper serving Los Angeles. Available for a full time position at one large manor or estate. Since promoting myself like a maniac I have met the best and work with the sweetest domestic staffing agents and colleagues in the industry. Allow me to tell you a new discovery I made, the agencies network with each other and share jobs! I did not know this! One agency had my resume and they sent my resume over to a different agency. Then I met and started working with the new agency that was sent my resume and they had the kind of job I was looking for. With reference to that kind of incident, it has happened a few times now. 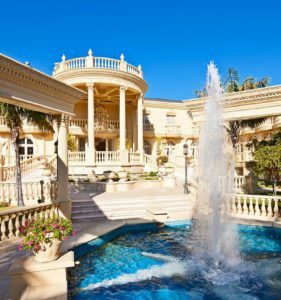 The numerous and various Los Angeles agencies network with each other to find the right candidates for the job and place them into the high-end homes. What a happy discovery for me. The world is a little brighter today for the fact of good people working together to help each other out. http://bellemaisonagency.com/ is one example of a collaborating, helpful agency. In addition there is one more incidence of people caring for others in this field. On LinkedIn, http://www.linkedin.com/in/kelly-hollywood-house-watkins, I have colleagues I network with that are extremely thoughtful. For example all the way from London I get messages from a colleague sending me different leads for jobs. We help each other, support each other and do what we can to stand united in the field of domestic service. Luckily you can find a lot of high caliber, like minded people in the domestic industry ready to serve and put others first. I am proud to be continuing and carrying out a career with such heritage and legacy as that in the domestic industry. Thus these are modern tales of domestic staff placement and the escapades delineated here are for housekeeping, house managing, nannies, butlers and so on, in the 21st century. We are here on this earth to help each other. 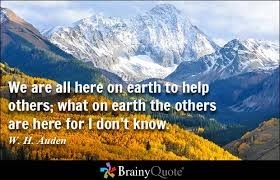 My purpose is to help others.